Altron Consultants was founded in 1982. 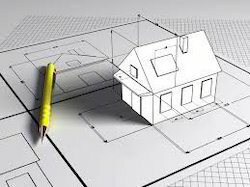 We are engaged in providing Architectural Services, Architectural Drawing Services, etc. It is being executed under the guidance of expert professionals who are working in this domain for many years. They make use of various advanced machines and tools in its planning, designing and execution process. Before finalizing our design for interior designing, etc., it is shown to the clients and if any changes are required it is done without waste of time. We have given a perfect look to numerous houses and offices in the market at highly competitive prices so that every customer can enjoy its benefits.